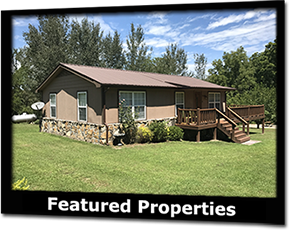 A family-friendly atmosphere and down-to-earth sales team, Ozark Haven Realty caters to the individual. We are a small office in a small town, and we give each client our full attention. With more than 50 years of combined real estate experience, we know how to find our clients what they seek, with the best deal possible. Our goal at Ozark Haven Realty is to help people from all over the country find a haven, a place of refuge, in the Ozark Mountains. This area offers many options for entertainment, recreation, and relaxation. We are a stones throw from Branson, MO, with its numerous shows, restaurants, and shopping. The Buffalo River is the perfect place for a canoe and camping adventure, and the White River Valley offers some of the best trout fishing in the country. We at Ozark Haven Realty are committed to quality customer service, honest communication, Godly values, and hard work. Whatever your real estate needs, whether buying or selling residential, farms, ranches, commercial, or land, we hope you will choose us to serve you.